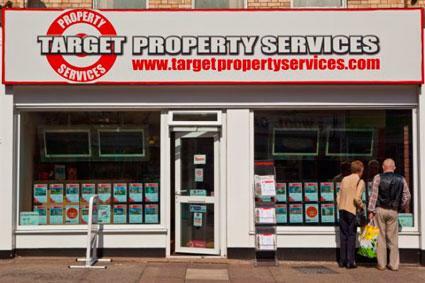 Target Property Services is run by a Director with over 35 years of Estate Agency service, and who is the driving force behind the business. He has successfully run agency companies for over 20 years locally, and therefore has a wealth of experience and knowledge in property related matters. In fact, A New Experience in Estate Agency, which is the company slogan! Throughout my career, I have always sought to provide added value to the house selling process, by tackling head on the very common objection often expressed by the public about estate agents. Namely communication and feedback on the results of marketing activity, and viewing appointments, regular updates on the progress of sales, presentation of property details, and the general attitude of some agents towards service provision. There is no substitute for recruiting, training and then motivating competent, friendly and caring staff. Our Target Property Services team are all highly experienced property professionals who are passionate, like me, to provide a first class service and to succeed. We are a family team, bonded by our desire to do all that we can to make the house buying and selling process, through ourselves, a pleasurable experience. An experience that our happy clients will be pleased to recommend to all their family and friends. To further improve our level of service, and distinguish ourselves as a credible agent, we have invested heavily, and embraced, the latest in modern technology, having installed a state of the art computerized network of computers, plus fabulous LCD TV screens in our front display window of our prominently situated office in Hyde Road, Paignton, offering buyers the opportunity to view the whole of our available property portfolio he added. We are a new, but already multi-faceted business, determined to offer our clients a full range of property related services. In addition to Property Sales, we have a raft of other services including Financial Services through our partnership with Mortgage Advice Bureau, Target Superior Homes, handling large town, country and marine properties, Target Property Performance where we can supply HIPS and EPCS in house, Target International accessing details of properties for sale worldwide, as well as Target Conveyancing. We currently have approx. 76 properties, 85% for sale and 15% for let. On average, properties are sold within 3 months of being listed by us. We have properties between £40,000 - £600,000. Our admin fee is a fixed rate of £120 per tenant which includes all admin, contracts, references etc. Deposit is dependent on the property but usually 4 weeks and a months rent is requested before moving in. For sales fees, please call our office to enquire.